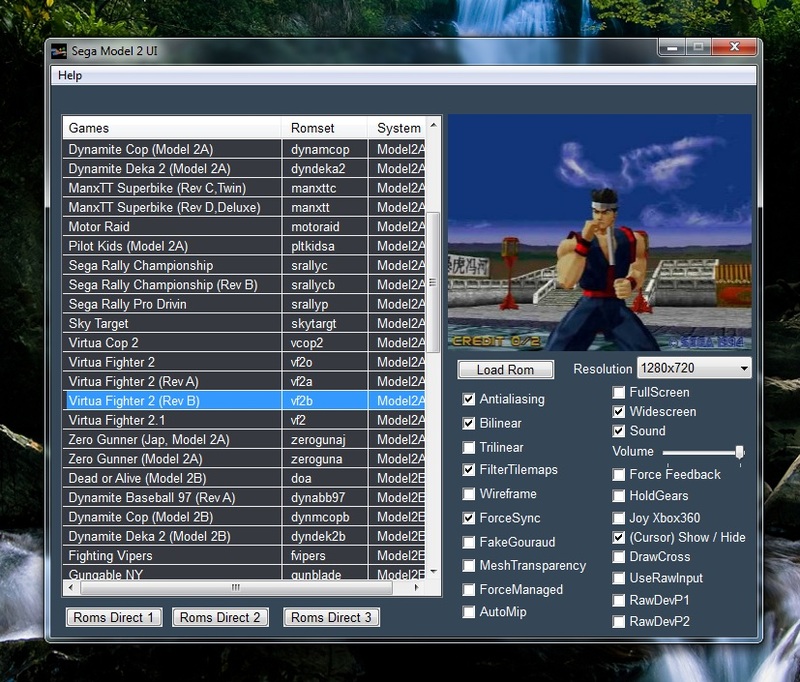 Hello everyone, it really bothers me to have to do many steps to configure my favorite game, then I started to add some features for Daytona and started adding functions until I finished adding all the games. Keep in mind that if you have errors is because I'm not a programmer (just a curious) which I consider a Hobby, I have no trouble for the aggregates I plan to do. in a few words, I publish it to not keep it for me, as I did with many things. Thanks! My friend! Can you add a feature to adjust the volume to preset level, and then restore the volume after the game? if now that I think that is a good function to add, since I am looking for the wide screen hacks of the games and I have to reduce the volume from windows. I've got a lot of scripts I wrote... maybe if I can ever get motivated to get ts2 out the door we can merge them into an all in one solution. I just added some basic stuff like widescreen, scanlines ect. I just test the program. The volume can be adjust in real time. But the function I need is reduce the volume to a "preset" level" (For example If I can set it at 10%). After exit, the game I played, it should "restore" to original volume level (The volume level before I run the game). 4) Enjoy playing the game at 10% volume. Sorry for asking too much! Yeah... like that will ever happen. Unfortunately I already died from holding my breath while waiting for a Super Model GUI and I am now a ghost. I have been thinking of trying to use macros in Windows to allow me to select and load games with a mouse click instead of using command line (which is usually enough to make me skip model 3 games altogether). Well yes, I was thinking about (pausing) model 2 UI and starting with model 3, a year ago I did not update my supermodel. tell me one thing, why did I stop working model 3 UI? if you can post your supermodel.ini. This GUI looks great, but I get a serious virus warning for the zip file with my antivirus (Trojan:Win32/Zpevdo.b). Is that a false positive or a real undetected threat? I updated my DirectX 9... I cant to run fine the M2 emulator. It now ask me to "encdr.dll", encof.dll, snbar.dll... and I can't find it on my system (Windows 7 - 32bits) or on Internet! Is my DirectX 9 incomplet yet? Now there are files in the first link! Many thanks to the update! They are false positives, we already made claims that they scan it in depth, but ... I guess it takes time. Any chance of an upload at www.zippyshare.com? I have troubles with the reCAPTCHA showing up at uploaded. Print.dll included in this program is copying not only the window of UI but also the screenshot of the whole screen being displayed to the clipboard. What is this required for? it's actually a little dirty trick, because when I started the emulator in window mode it always showed the native resolution of the emu (640x480) then. Take this resource to show the desktop for 1 second and wait for the window to be resized in background mode from behind. you can prove that print only works when you launch the game.